The Zilker Relays – a 10-mile relay race – was this past Friday, September 7th, and the Texas McCombs Accounting Department had not one, not two, not three, BUT FOUR teams participate! In last place (but #1 in your hearts), team Go MPA ran the 10-mile loop in 1 hour, 27 minutes and 28 seconds. Team Go MPA was comprised of Master in Professional Accounting students from Texas McCombs. Nicely done! 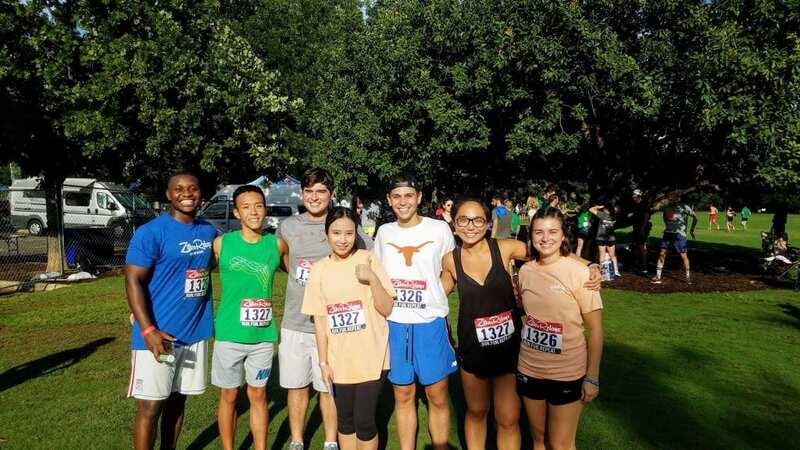 Dan Yang (second from left), Trevor Anderson (third from left), Vicki Yang (middle front), and Flora Sun (second from right) ran for team Go MPA! In third place, the Partially Depreciated Professors completed the race in 1 hour, 26 minutes and 31 seconds. Not too shabby for these esteemed Accounting Professors at Texas McCombs! 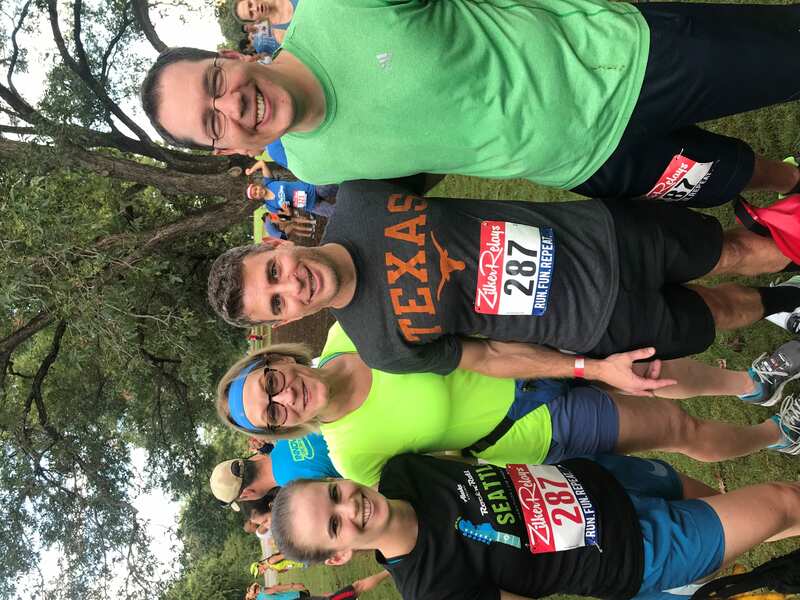 From left to right, Texas McCombs Accounting Professors Sara Toynbee, Lillian Mills, Patrick Badolato, and Braden Williams ran the Zilker Relays in 1:26:31 for the Partially Depreciated Professors team. In second place, team UT MPA crossed the finish line in 1 hour, 18 minutes, and 51 seconds. UT MPA was our second team of Master in Professional Accounting students. Great job! MPA students Mduduzi, John Howard III, and Hannah Edwards ran the Zilker Relays for team UT MPA. A special shout out to John who ran two legs of this race! 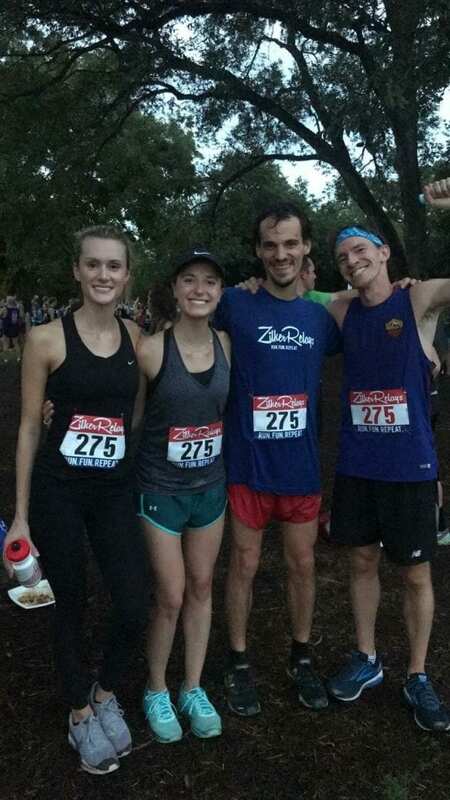 And in first place… winning bragging rights for a full year until the next Zilker Relays… was team Good Shoes, Better Sox! 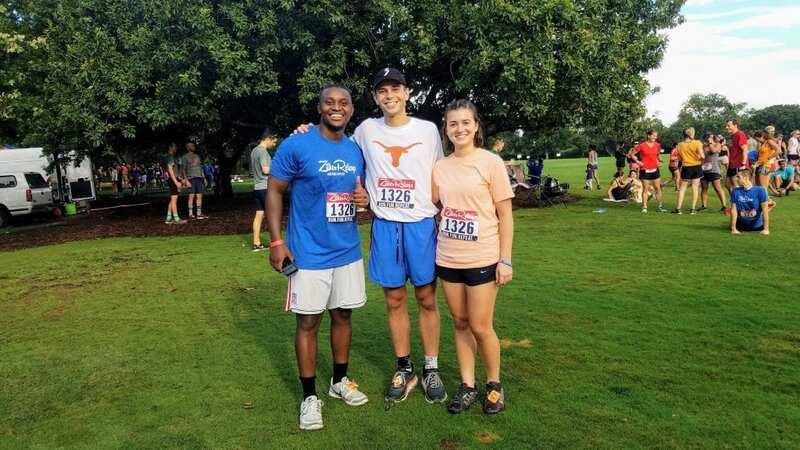 These Accounting PhD students ran the relay in a total of 1 hour, 11 minutes, and 13 seconds, averaging a 7:07 minute pace! Now that’s what I call fast! 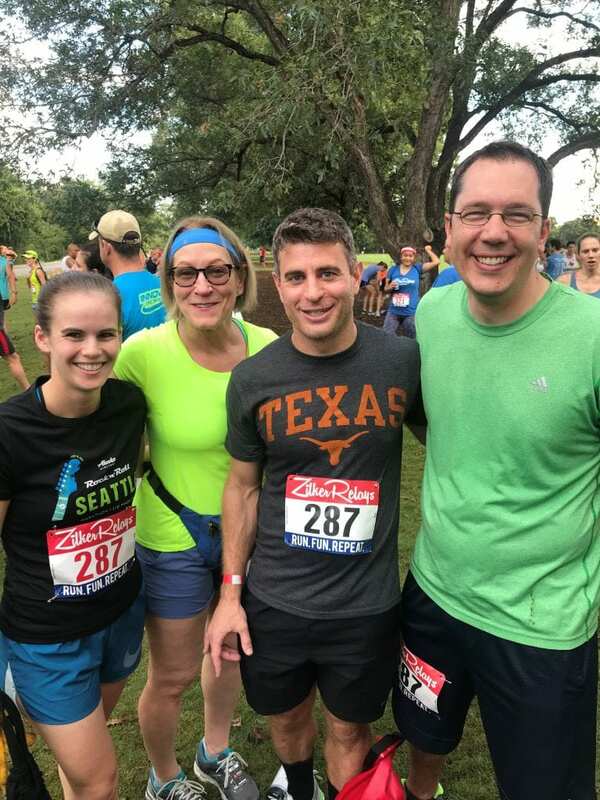 Coming in first place for the Texas McCombs runners was team Good Shoes, Better Sox comprised of (from left to right) Laura Savoie, Laura Kettell, Jakob Infuehr, and Dan Rimkus. Congratulations!